Short-range correlations among protons ans neutrons in the nucleus may account for the EMC Effect. NEWPORT NEWS, VA – A careful re-analysis of data taken at the Department of Energy's Thomas Jefferson National Accelerator Facility has revealed a possible link between correlated protons and neutrons in the nucleus and a 35-year-old mystery. The data have led to the extraction of a universal function that describes the EMC Effect, the once-shocking discovery that quarks inside nuclei have lower average momenta than predicted, and supports an explanation for the effect. The study has been published in the journal Nature. "Now we have this function, where we have neutron-proton short-range correlated pairs, and we believe that it can describe the EMC Effect,” says Barak Schmookler, a former MIT graduate student and now Stony Brook University postdoctoral scientist who led this research effort and is the paper’s lead author. He says that he and his colleagues think what’s going is that the roughly 20 percent of the nucleons in a nucleus’s correlated pairs at any one time has an out-sized effect on measurements of the EMC Effect. "The picture before this model is that all protons and neutrons, when they are stuck together in a nucleus, all of their quarks start to slow down. 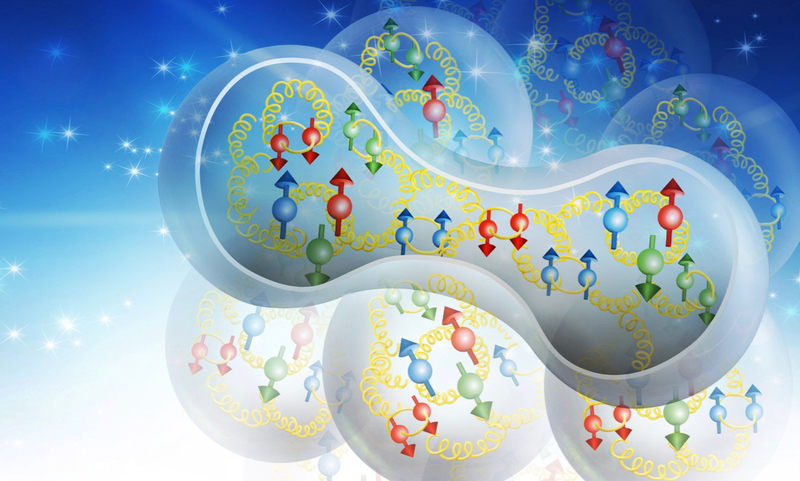 And what this model suggests is that most protons and neutrons carry on like nothing's changed, and it's the select protons and neutrons that are in these pairs that really have a significant change to their quarks," explains Axel Schmidt, an MIT postdoctoral fellow and co-author. This analysis was carried out as part of the Jefferson Lab Hall B Data-Mining project. The project is supported by DOE’s Office of Science. The research was also supported by the National Science Foundation, the Israel Science Foundation, the Chilean Comisión Nacional de Investigación Científica y Tecnológica, the French Centre National de la Recherche Scientifique and Commissariat a l’Energie Atomique, the French-American Cultural Exchange, the Italian Istituto Nazionale di Fisica Nucleare, the National Research Foundation of Korea, and the UK’s Science and Technology Facilities Council.